LOCATION: Our villa is located in the stunningly beautiful and upscale Waikoloa Beach Resort. The villa itself is surrounded by lush, perfectly manicured, tropical gardens, full of sweet smelling flowers. 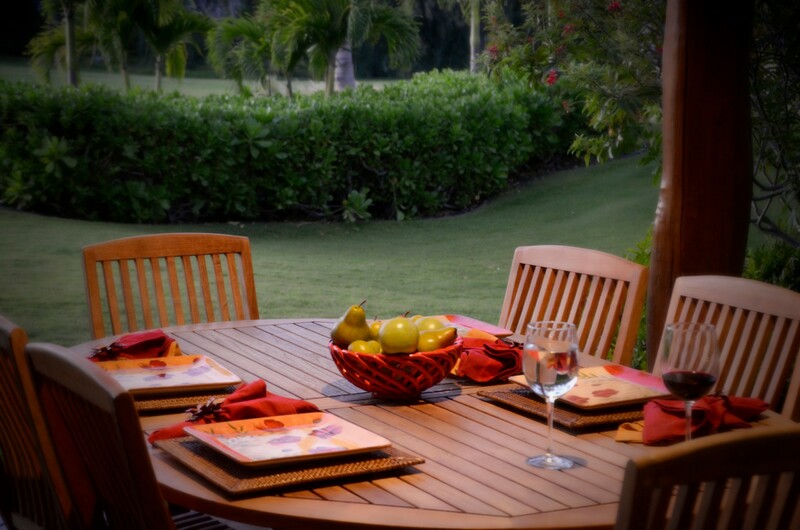 The backyard is large and seamlessly expands into Waikoloa Beach Golf Course. The course is rarely busy and closes at 4pm on the weekdays. It's no problem if you want to grab our golf clubs and hit some balls after hours. 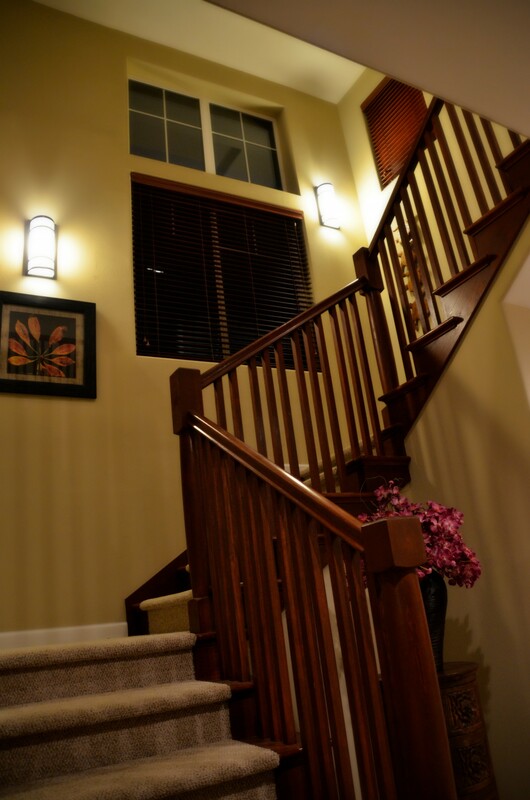 VILLA: The 3 bedroom 3 bathroom villa is a spacious at just under 2000sf is adorned in Hawaiian decor. KITCHEN: Welcome to your GOURMET kitchen for the week!!! Fully equipped with everything you need PLUS a built in wine chiller where you can store several bottles of your favorite beverages. 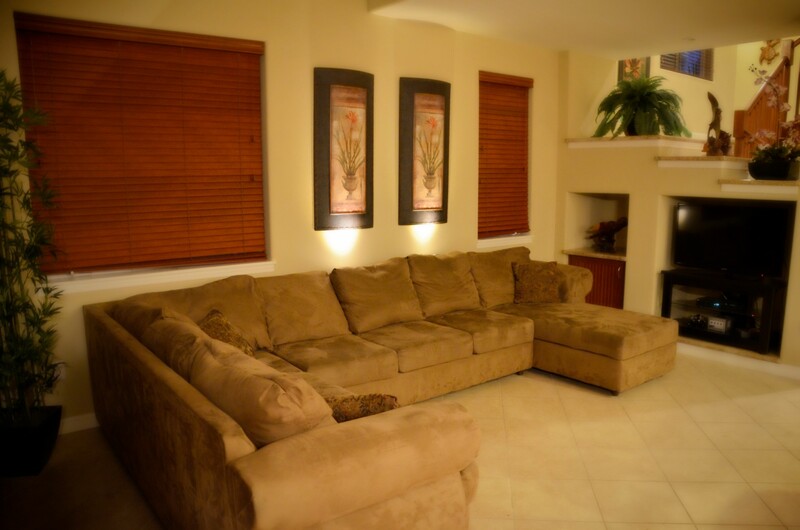 PATIO: Walk out any of the two, main level, back sliders to the spacious private patio. Complete with dining for 6-8 and an outdoor kitchen featuring a Viking BBQ. It's a perfect spot anytime of the day or night. I wish I was there right now. BEDROOMS: All of our bedrooms have high quality mattresses for comfortable nights sleep (this is often overlooked in vacation rentals). MASTER BEDROOM: The spacious 2nd floor master suite includes a king bed, TV and features a large balcony overlooking the green. There's nothing like waking up in the morning, walking out on the balcony, and smelling the fresh Hawaiian air. Or better yet winding down with a loved one and watching the sunset over the golf course. MASTER BATH: Includes his and hers sinks, a shower, a FABULOUS soaking tub, and walk-in closet. Don't worry.... If you forgot something, our bathrooms are well stocked with just about anything you need (shampoo, conditioner, soap, razors, toothbrushes, toothpaste...) We want you to relax and enjoy your stay and not worry about anything, much less the little stuff. BEDROOM 3: Beautiful main floor bedroom overlooks gorgeous flowers and other lush landscaping. Includes queen bed and large closet. Full bathroom just outside the bedroom. LOFT AREA: The 2nd floor loft area is a great place to relax and watch TV or can double as another sleeping area. We have a queen sized aero bed which can be easily inflated to accommodate two more sleeping arrangements. PATIO: Walk out any of the two back sliders to the spacious private patio. Complete with dining for 6-8 and an outdoor kitchen featuring a Viking BBQ. It's a perfect spot anytime of the day or night. I wish I was there right now. EXTRAS FOR THE BEACH: Beach toys, boogie boards, snorkel gear, a beach umbrella and cooler. EXTRAS FOR THE YOUNG ONES: 2 high chairs, 2 port a cribs and a baby gate. EXTRAS FOR EVERYONE: 2 sets of Nike golf clubs, yoga mats and free weights. Plus just about every room has extra supplies for your convenience and use. INTERNET: The condo also features upgraded high-speed wireless cable internet (WiFi). FITNESS CENTER: If you're like me, you try to keep your fitness routines when you're on vacation. The fitness center is located about 50 steps from the condo's front door and has a universal gym, cross trainer, treadmill, and a bike. The resort is so beautiful you'll definitely want to forgo the fitness center and go for a run on the beach. There are numerous trails which line not only the beach but the world famous and historically protected anchialine fish ponds. If you're not into running or the fitness center, I have placed a full set of dumbbells and yoga mats in our villa. POOL/SPA: The pool area, about 50 steps from the front door of the villa, is hidden behind lush landscaping. The pool is expansive, has a small waterfall, and is tastefully designed reminiscent of Hawaii's natural beauty. There is also a hot tub where you can relax and watch the stars at the end of the day. 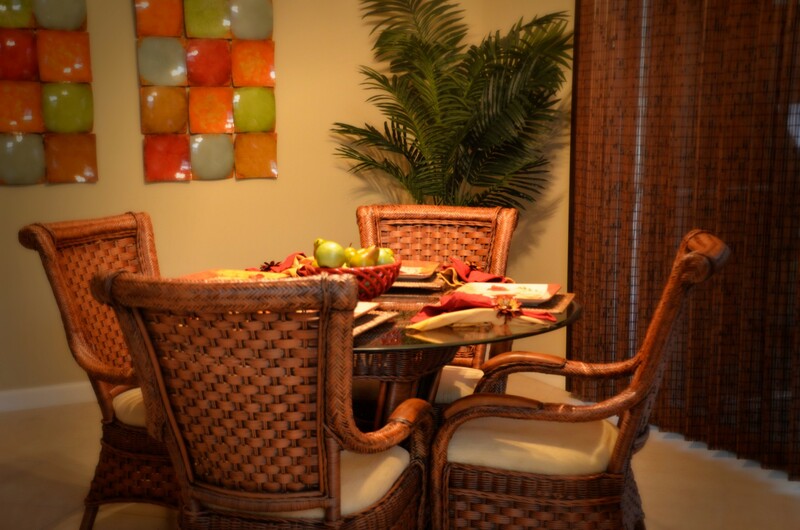 WALKING DISTANCE: Everything from shopping, restaurants, golf and the beach are a short walk. BEACH: World famous, Anaeho'omalu Bay's, beautiful beach is just a 5 minute walk from the front door where you're guaranteed to see sea turtles lying on the beach every evening (once you get to the beach walk to the left past the Lava Lava Beach Club and you'll see the turtles.) If you're visiting from December to April you're also sure to see whales. 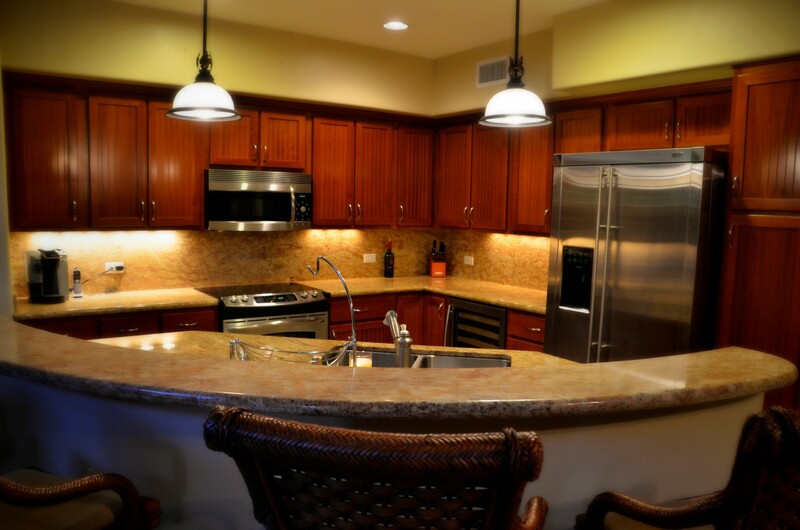 SHOPPING: Waikoloa Beach Villas are directly across from the new, upscale shopping center Queen's Marketplace. Queens Marketplace features many fine stores and restaurants. My favorite is Starbucks! IF SHOPPING is your scene you can also visit King's Marketplace which is located directly adjacent to Waikoloa Beach Villas. King's Marketplace includes several fine restaurants like Roy's and is anchored by retailers like Macy's, Tiffany's, Louis Vuitton, and more. DRIVING: When you're ready to hit the beach I recommend Hapuna Beach. It is commonly listed amongst the top 10 beaches in the world and is just a 10 minute drive from our villa. Beautiful white sandy beaches and breathtaking blue water. Relax in the sun or play in the water. If you're willing to drive a little further one of my favorite beaches is Manini‘owali. It's located about 15 miles south of Waikoloa back toward the airport. This is another white sand beach with perfect blue water and great snorkeling on the north side of the beach. BIG ISLAND: The list of things to do on The Big Island is nearly endless and most of the best stuff is located within an hour's drive of the villa. Some of the things I recommend are going to the observatory at the top of Mona Kea, snorkeling with the Manta Rays, and hiking Waipio Valley up to Waipio Falls, taking a helicopter tour of the lava and volcano. There's really too much to list here and you'd have to stay for weeks to see it all. 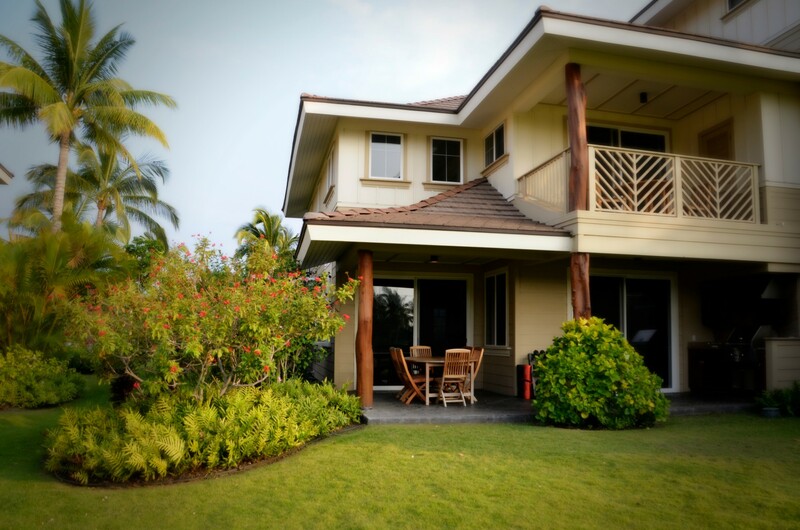 GUARANTEE: Our villa is THE spot for a perfect Hawaiian Vacation!!!! Have questions? That's normal, contact us.